Cool, calm marbles are effortlessly elegant; and an unadorned stone fireplace gives a sense of the simplicity of great workmanship. Surprisingly, we’ve even found an understated wooden fireplace, which is quite tricky as it’s irresistible to carve on this malleable material! Whatever look you are going for, think about installing a simple antique fireplace. They will act as the perfect calming foil for a period style room, or fit perfectly into contemporary-style surroundings. If you have a spectacular painting to hang above your fireplace, an uncluttered-looking fire surround will complement and not overwhelm your artwork. The same goes for statement wallpaper; and a plain fireplace looks fantastic with a bold paint colour. Have a look at these simply beautifully antique fireplaces from our collection. 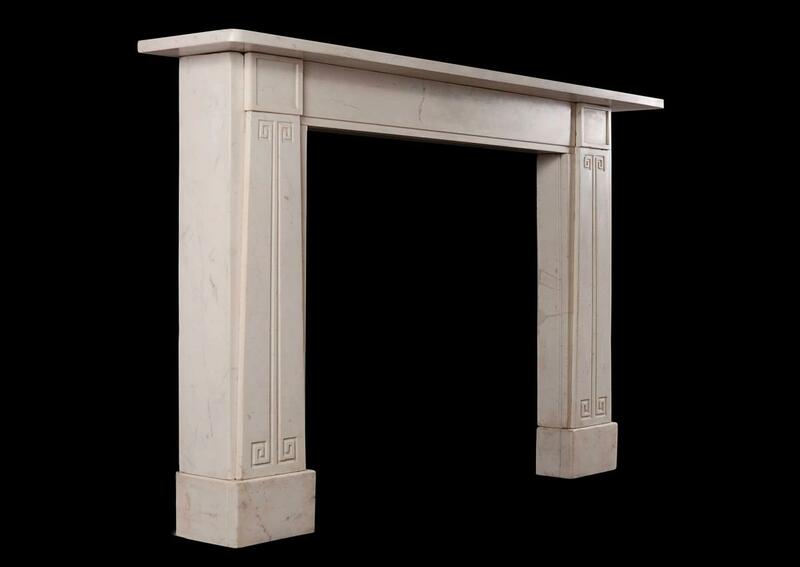 When you think of a clean, uncluttered antique fire surround, the chances are that you’ve pictured a white marble design. Nothing is quite as calming as one of these pure, white fireplaces. 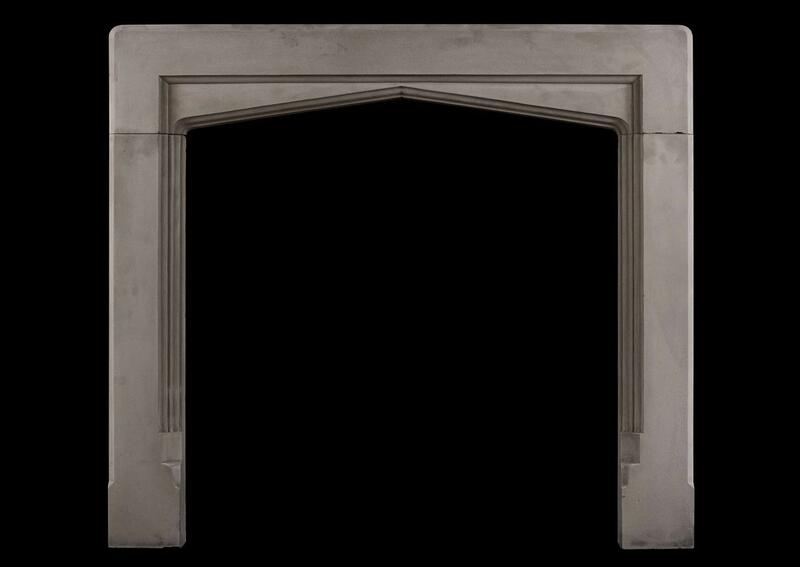 This English fireplace is in the style of neo-classical architect Sir John Soane. Its graceful design is emphasised by the subtle Greek key pattern: a hint of decoration doesn’t detract from its elegant lines. However, marble doesn’t have to be starkly white to be minimalist. 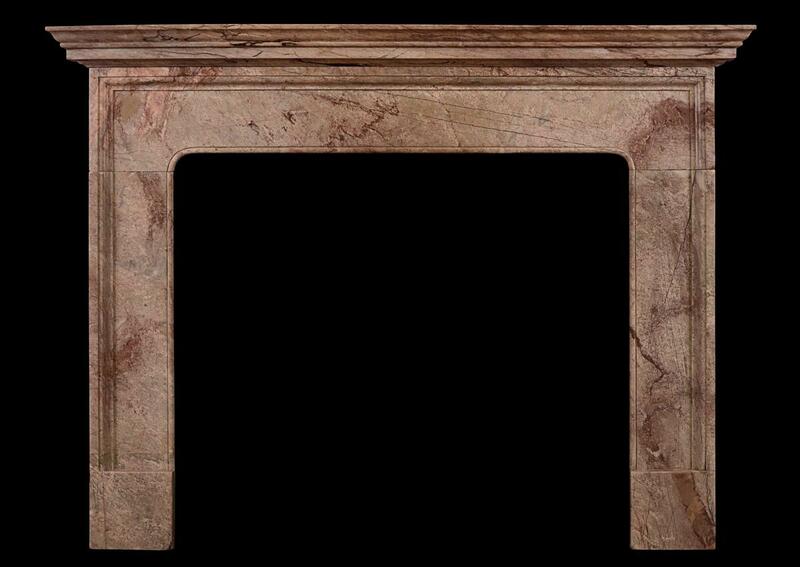 Look at the discreet design of this Georgian-style fireplace, made from gorgeous Rose Vif des Pyreneese marble. Moving away from marble, stone fireplaces also benefit from an understated design. There’s a real feel of integrity to a well-made, simple stone fire surround. We love this small 20th century English fireplace made from pretty grey Purbeck stone. The decoration again has been kept to a minimum, allowing the delicate grey shade and architectural shapes to stand out. 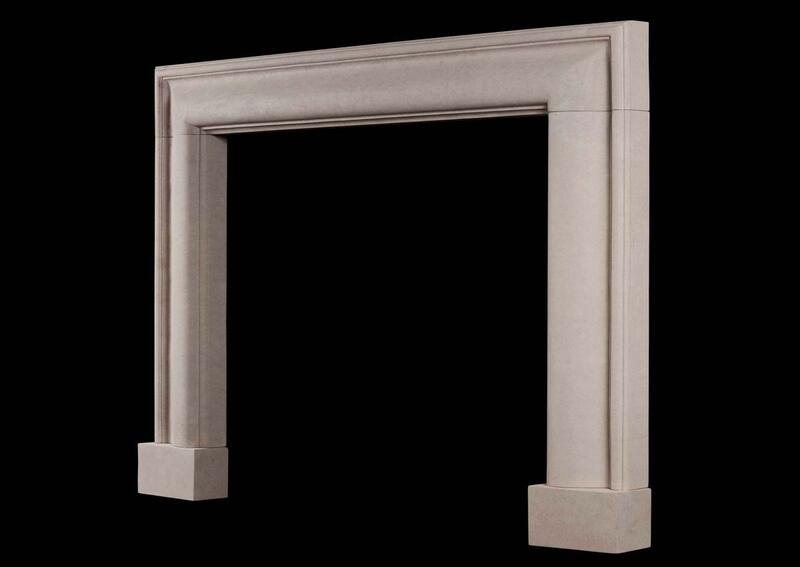 For a classic style that would look superb in a contemporary home, try this reproduction bolection fireplace. It’s in the style of Queen Anne, an architectural period that saw an emphasis on grace and simplicity, as well as meticulous craftsmanship. Wooden fireplaces are often characterised by their elaborate carvings. After all, wood is so wonderful to work with, that anyone wanting an intricate design would naturally turn to this material. 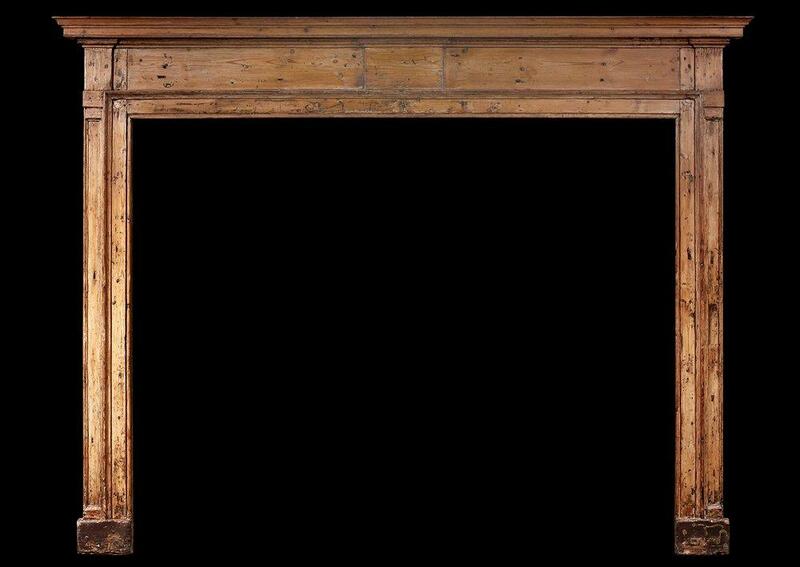 So, we’re delighted to introduce this unusually understated English wooden fireplace, dating back to the early 18th century. It’s large, and although it’s simple in design, is definitely an imposing piece. Made from pine, the wood is beautifully aged and a lovely rich colour. No embellishment is needed! Likewise, metal fireplaces are often lavishly decorated, because casting introduced a whole new world of intricate design. 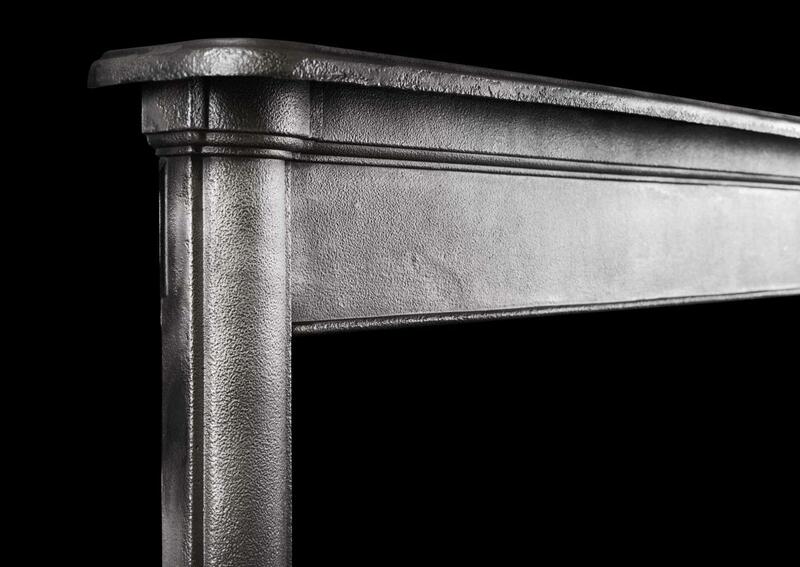 This early 20th century English metal fireplace breaks the mould. Simple but with a slight curve to the jambs, the polished cast iron shines beautifully. It would look superb in a contemporary space, even a minimalist one, or could act as a gleaming detail in a more traditional scheme (picture it against a dark red wall in rich late Victorian style). 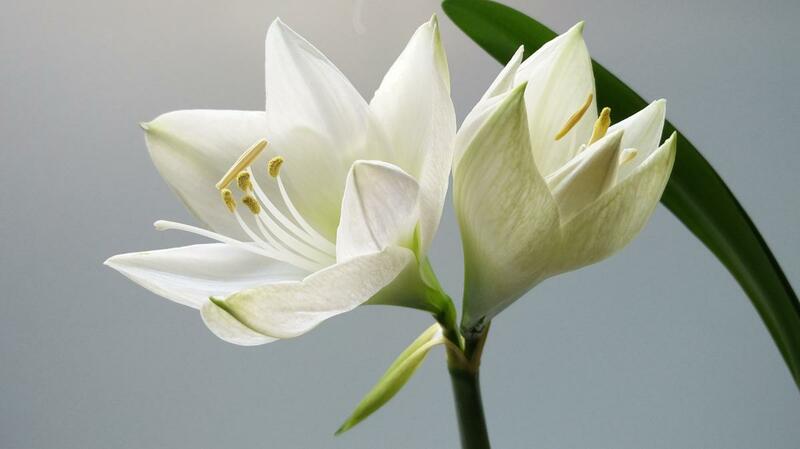 So, don’t gild the lily. Choose a fireplace that works with your space but doesn’t dominate it; and these elegantly simple styles will look good with any type of decor. If you’d like some advice on selecting your perfect antique fireplace, please just ask us.